I knew a submariner who used to get seasick on them (I believe it was while it was on the surface) and whilst he was in his cot, if he was sick, used to throw up in his steaming bats. He said that it was a lot quicker and easier to clean his bats than the floor. This entry was posted in Footwear, Post WW2, Royal Navy on February 27, 2018 by hatchfive. One of the great memories in regard to studs in boots was in Caterham in the early 80’s. Sgt Boris Beard (Black Boris) was Sgt I/W for No1 Company. There was a blood donation drive that the Battalion was taking part in. Boris gave blood and felt very faint after the procedure. he was placed on a stretcher to recover and was approached by the Badge man the Great Perry Mason. Perry was genuinely concerned about Sgt Beard and asked if he was ok. Boris said yes he was feeling a lot better. Perry replied good.. Now place yourself in the report for not having the correct amount of studs in yer boots!! 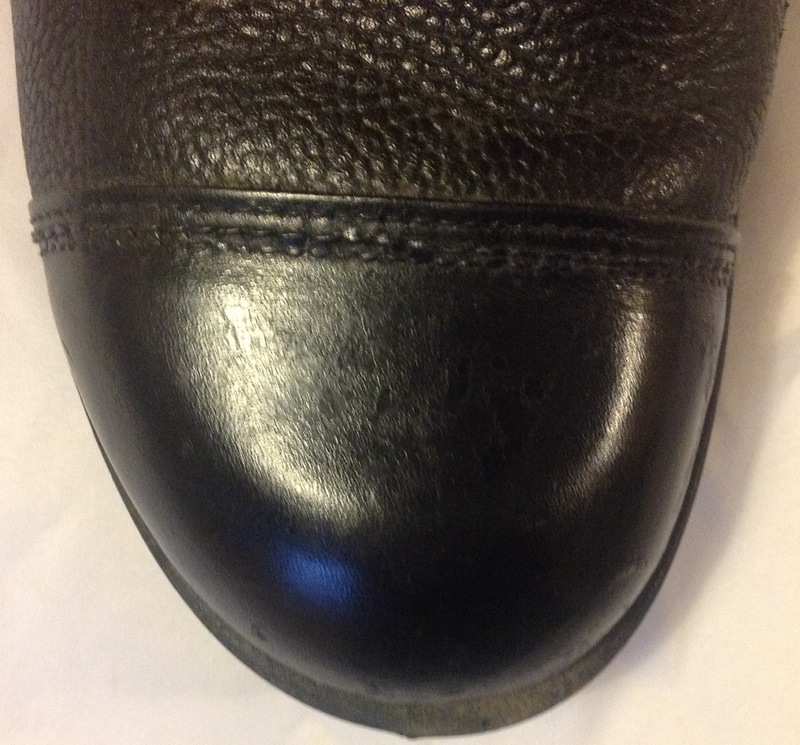 These boots have a separate toe cap that provides a clear demarcation line for bulling, on this example the polish that has been applied has chipped and at some point I need to strip off all the polish and redo the boots to make them look correct: The toe cap at the back of the boot is also bulled, and as is often the case these boots were originally bulled all over apart from the top which would be hidden beneath the trouser leg, where the original pebbled leather can be seen: There are many different ways of bulling boots, with some advocating melting the polish, others using yellow duster or cotton wool balls and others using water and spit or a combination thereof. 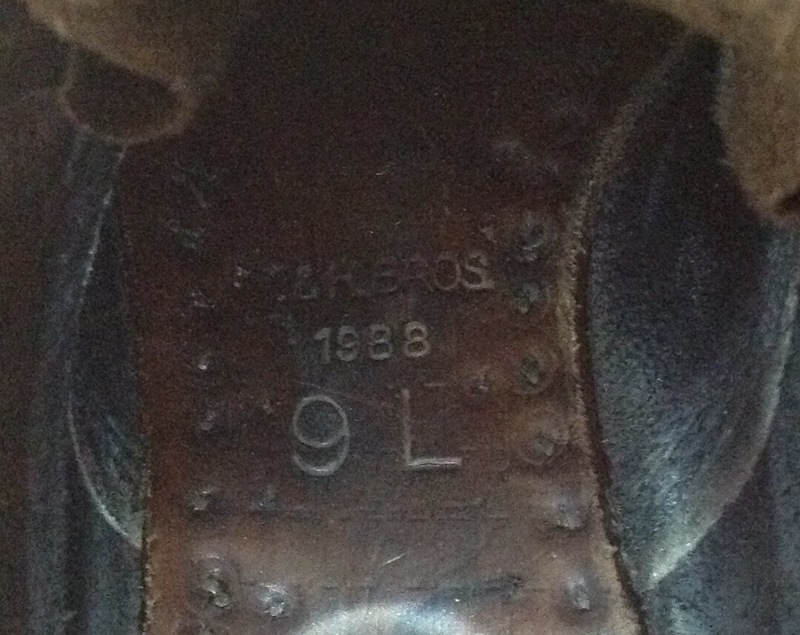 The boots are dated 1988 inside and have a manufacturer’s initials of ‘J & R Bros’: The size ‘9L’ is stamped both inside the boot and on the instep underneath: These boots can be seen on many formal parades, worn by all three services. 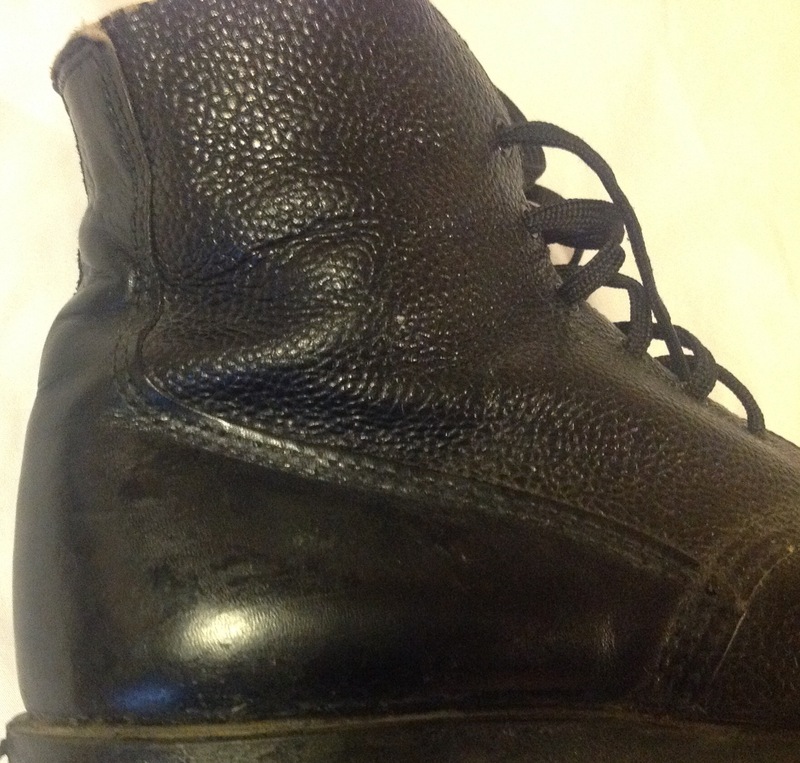 This entry was posted in British Army, Footwear, Post WW2 on July 8, 2016 by hatchfive. 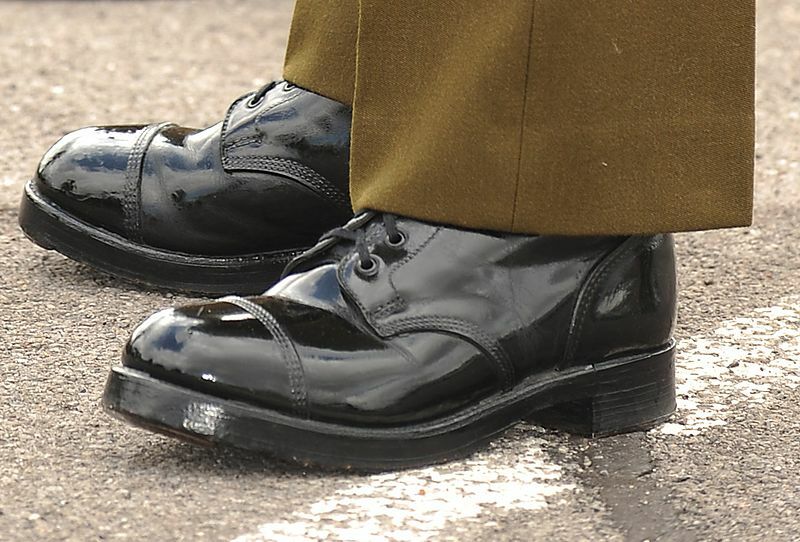 The infantryman (and soldiers in most other Arms as well) will also wear moulded rubber soled boots fitted with washable plastic insoles and tied with nylon laces. These boots will never be repaired; the uppers will have worn out by the time the soles have worn thin and the boots will be sent for salvage. 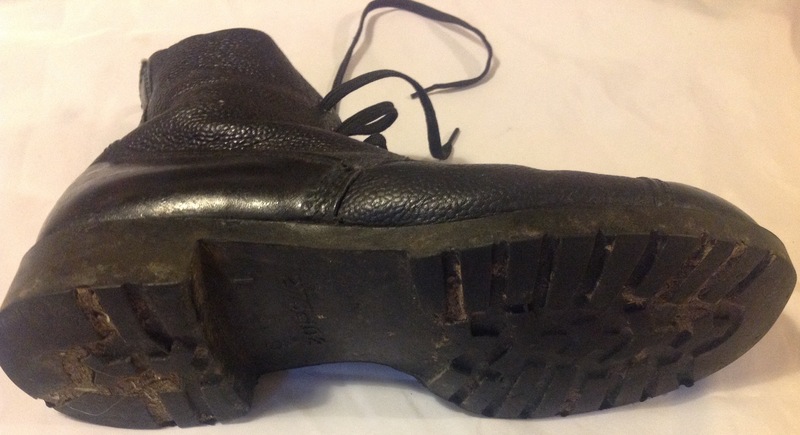 The boots are made of pebbled leather, with smooth toecaps: And heels: The boots are ankle high, and lace up the front with six rows of metal reinforced laceholes: The distinctive feature of the boots is of course the sole, which is made of black rubber moulded directly to the upper part of the boot. 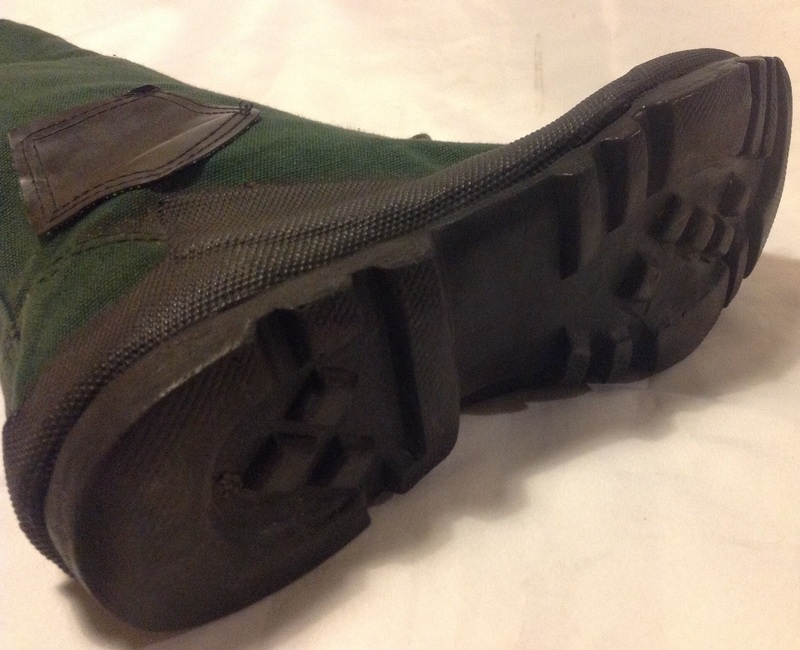 It has a deep tread for better grip: The DMS boots remained the standard item of footwear in the British Army until the Falklands when it became clear they were totally unsuited to modern warfare. 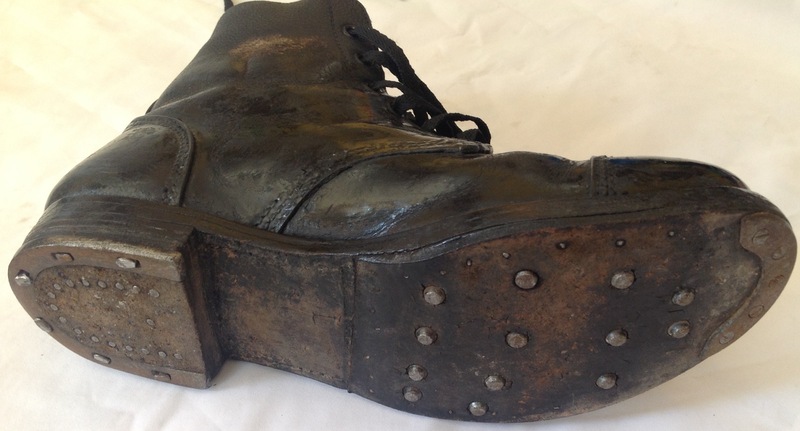 The short boot was insufficiently waterproof and soldiers suffered from trench-foot, or as ARRSEpedia puts it ‘DMS boots were as waterproof as a pair of sandals.’ There are even stories of soldiers stealing high leg boots off dead Argentinians as they were better than the DMS boot. 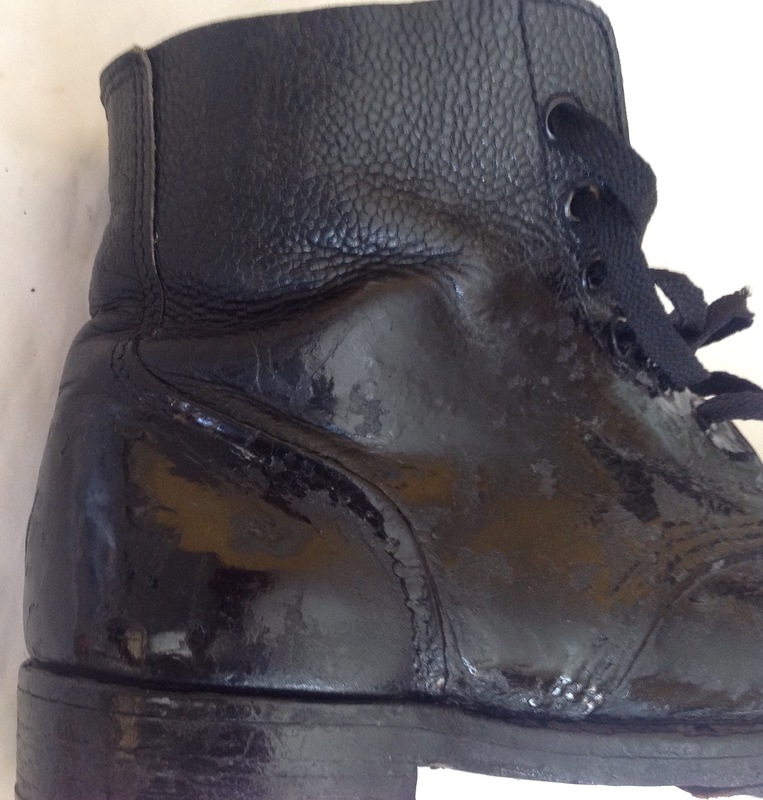 Unless worn with the issued nylon inner soles, the rubber soles would ‘draw’ the feet, making them sweat badly. 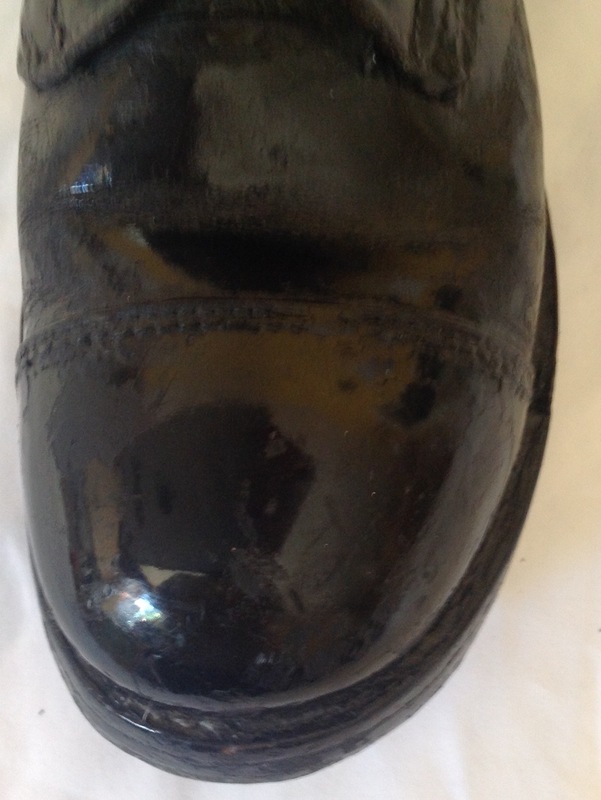 In cold wet weather the boot was proved far from practical; it became easily saturated and caused the wearer’s feet to suffer accordingly The ‘Boot, Combat, High’ was quickly brought into service to replace the DMS boot in the aftermath of the Falklands War, but the DMS boot was to soldier on for a number of years whilst the new boots were rolled out. 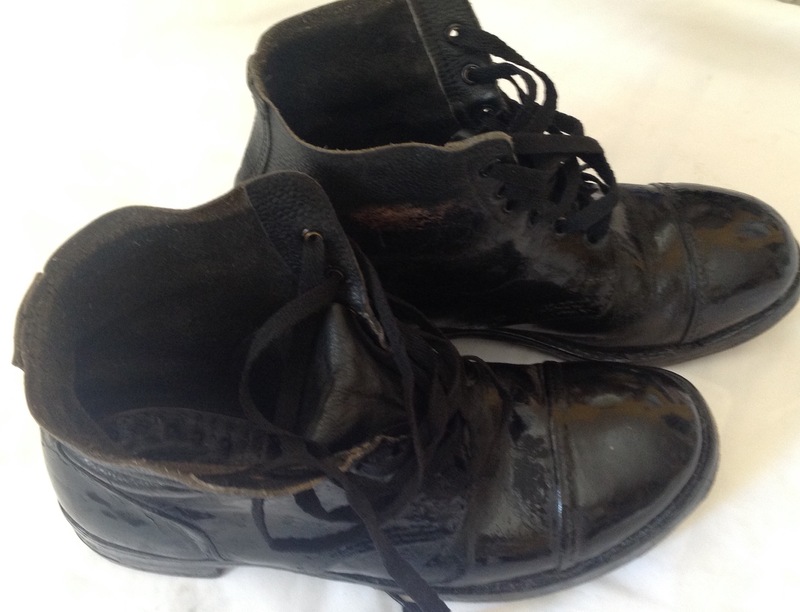 This entry was posted in British Army, Footwear, Post WW2 on June 15, 2016 by hatchfive. Footwear in the jungle is always problematic, boots need to be tough to stand up to the rugged terrain, light for comfort, rot proof to prevent them falling apart too quickly and both waterproof for walking in rain showers and quick to dry when they do get soaked wading through swamps. Combining all these requirements in one design was clearly a tall order, however by the middle of World War Two it was clear that the standard British Army hobnailed boot was hopelessly unsuited for jungle wear. 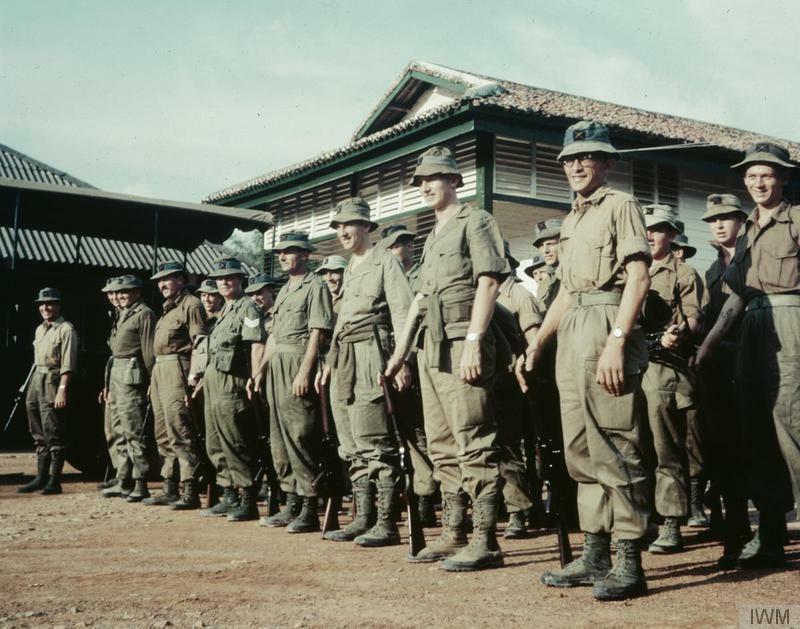 An official army training pamphlet advised canvas and rubber soled hockey boots (procurable in most tropical towns) are an efficient form of footwear. 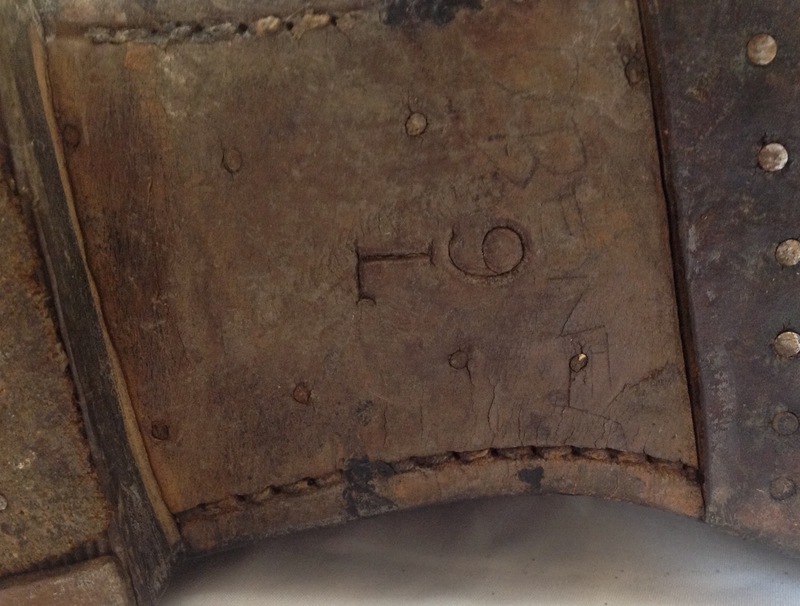 Whilst locally bought hockey boots were fine as a short term measure, what was clearly needed was a purpose designed boot and by the time of the Malayan Emergency the British Army had introduced a canvas and rubber jungle boot: These boots were frequently called ‘Bata’ boots by soldiers after the Bata Shoe Company who made many of them, examples were also made locally in theatre in Malaya. 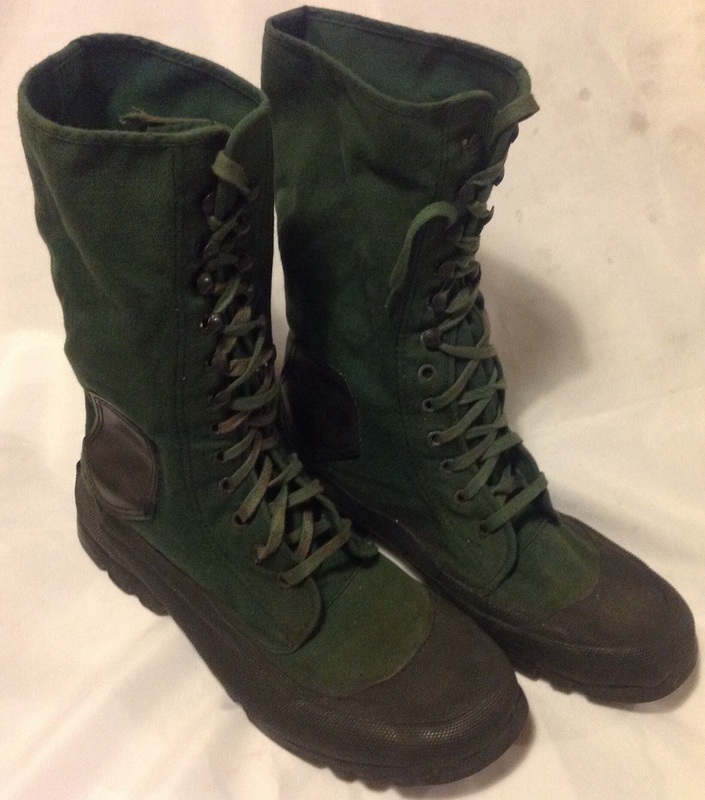 The design is closely copied from US Marine Corps boots and pre-war hockey boots. 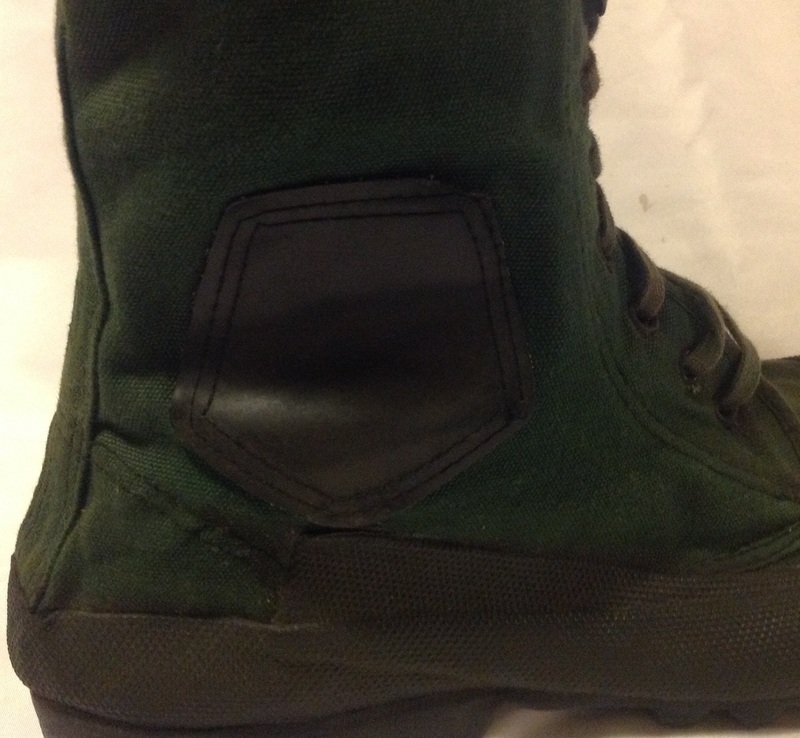 The main body of the boot is made of green canvas, with black rubber soles: Black rubber toecaps: And black rubber reinforcement on the ankles: The boots are fastened with green laces running through six pairs of riveted eyelets and six lace hooks up the front of the boot: These boots are a common sight being worn by many soldiers during the Malayan Emergency, such as these soldiers photographed in December 1957: Sadly they were viewed as being virtually disposable- two weeks in the jungle normally resulted in them falling apart. 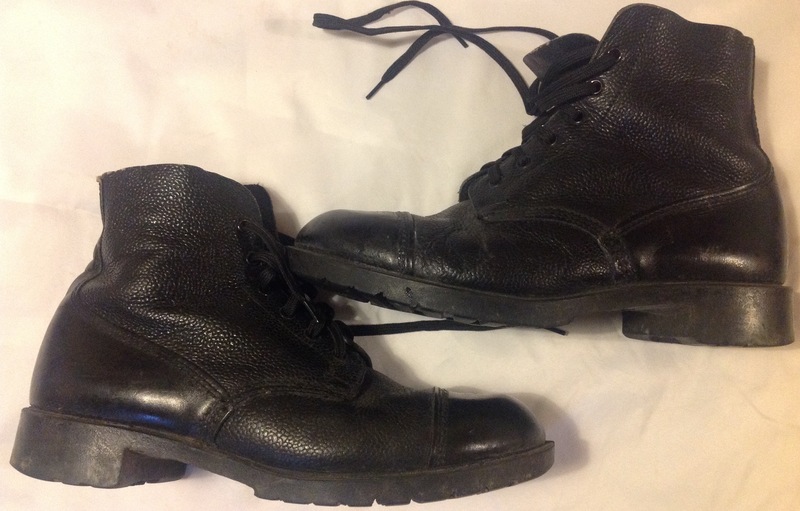 As such examples in good sizes, like these (9s) and in good condition like this pair are rare and demand a premium, smaller and more battered boots being more commonplace. 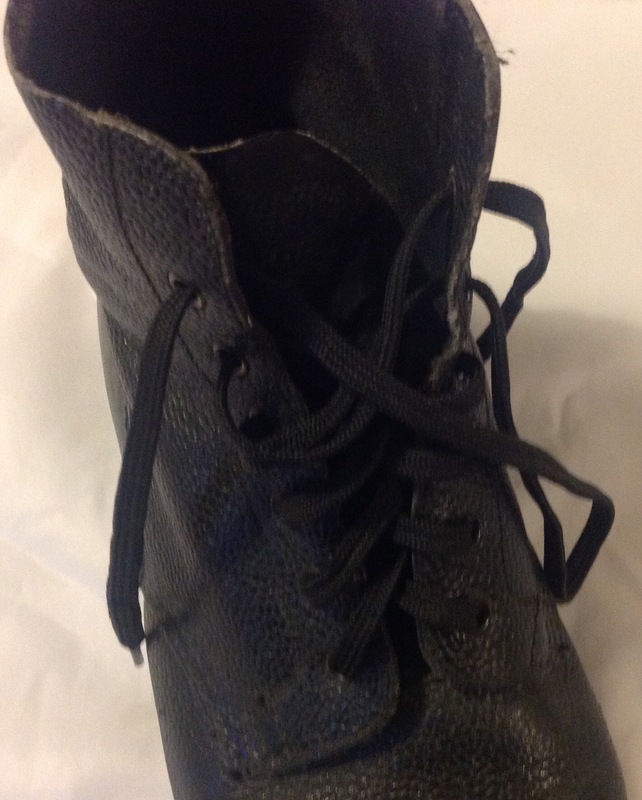 I believe that reproductions have been made of these boots, but how easily available they are I couldn’t say. 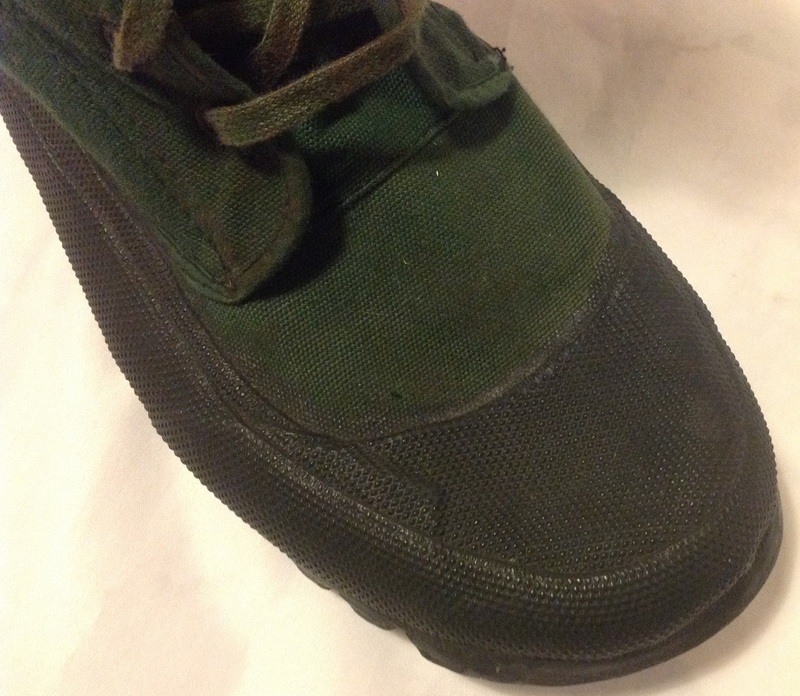 This entry was posted in British Army, Footwear, Jungle, Post WW2 on January 22, 2016 by hatchfive.